Once my family and I were no longer looked down upon, we flourished in the church. It was exciting to spend time with fellow Christians and be involved in meaningful activities. When a young couple came into our church two years later they were timid and shy, and tried to leave as soon as possible after the service. I was reminded of my past experience, and recognized the look on the young woman’s face. My wife and I approached them and struck up a conversation. It was awkward and difficult, but we did it. We soon found out that they’d had significant marriage problems in the past. Over the coming weeks we discovered that he had been involved with another woman several years earlier. He assured us that it was over, and they had even moved to another state for a fresh start, but every time he brought it up to anyone, he was given a scarlet letter to bear. His wife had forgiven him long ago and their marriage was flourishing again, but the church seemed to be the place that couldn’t forgive him. Spending time with this couple allowed us to learn about ourselves, and how quickly we tended to assume the worst about others. It’s easy to judge someone, but much more difficult to forgive. Church is to be a safe place for those in need. That isn’t say that the church should be filled with misbehaving adults who discontinue sin long enough to attend a weekly service, but it should be where people in trouble come for help. I’ve learned that the strongest impact I can have on someone is to forgive them, and then help them find their way back to God. I can’t do that if I consider them Jaded. Where would I be if Christ considered me Jaded? That’s the entire reason He died on the cross, so that I wouldn’t be in His sight. 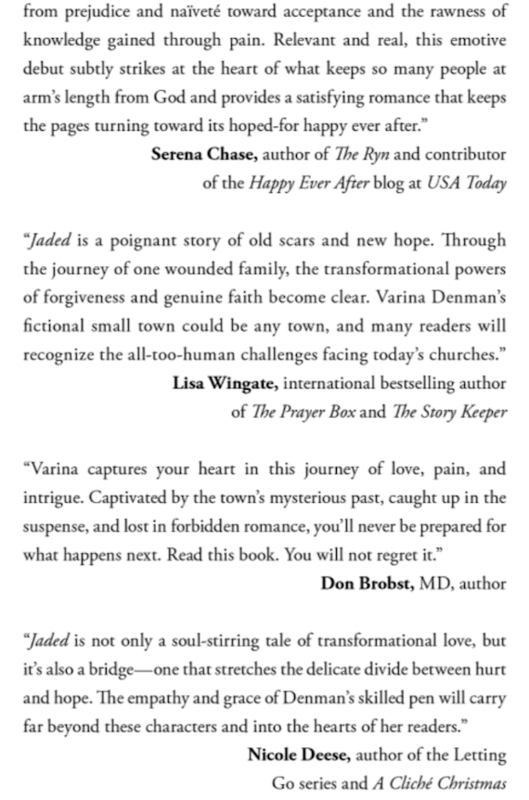 See the final blog post in the Jaded series next Tuesday, April 7th. Please comment here or at #StopJading.